Typical April weather - starting the month with glorious sunshine, we thought summer was here, and ending with cold north winds, and yesterday a mild frost and snowy hail showers during the day. 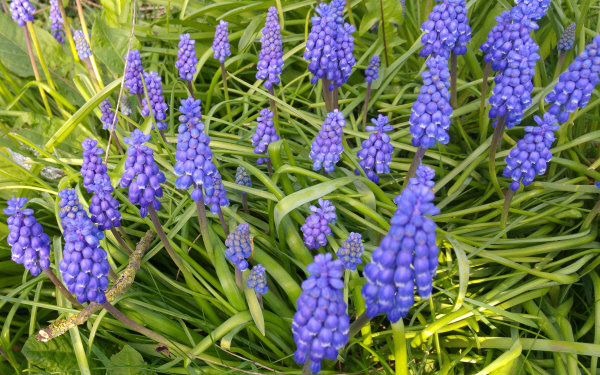 It's been a glorious month for blossoms, though, starting with the tail end of snowdrops and daffodils and now the lilacs are starting to show. 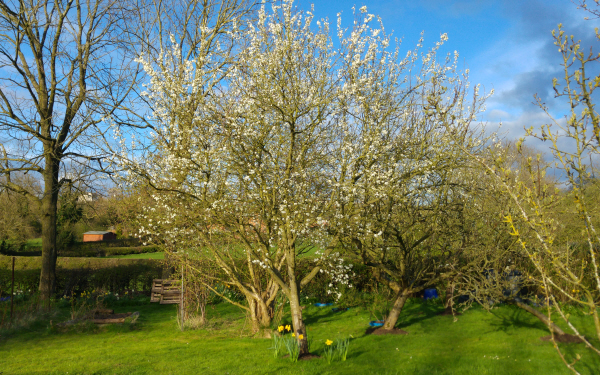 The apples and cherry trees are still in blossom with the pears, damsons and plums having gone over. 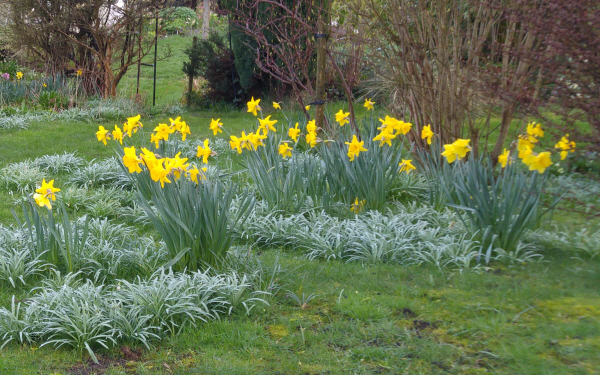 At the start of April - daffodils in the lawn among the leaves of spent snowdrops. 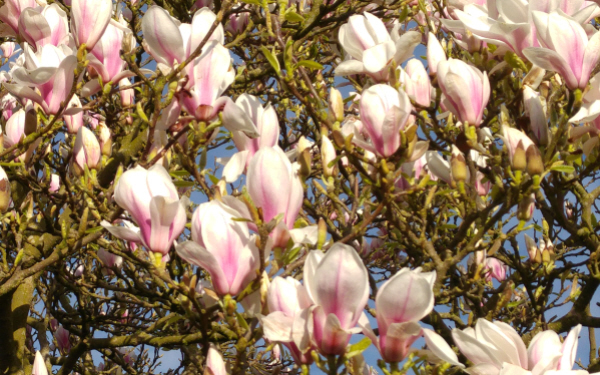 Magnolia blossoms were magnificent this year, mainly due to no frost when the buds were forming. 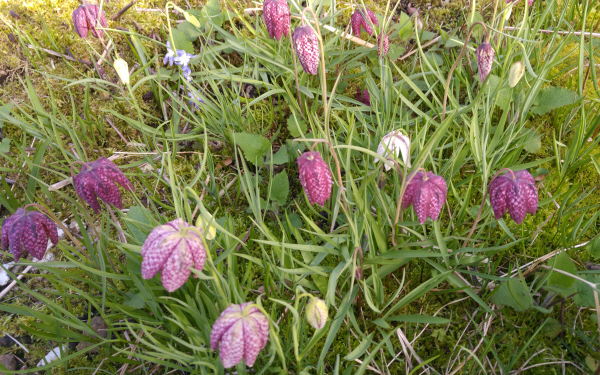 Often the frost damages the delicate flowers just when they are ready to open. 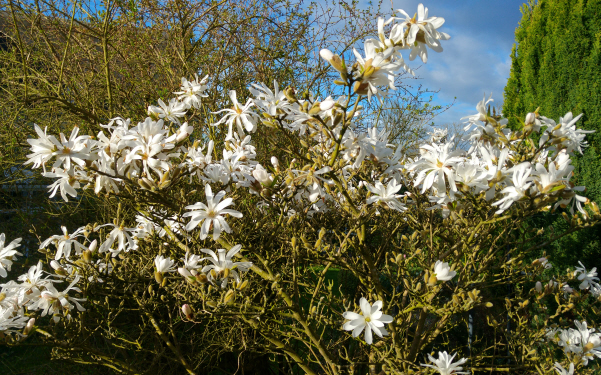 Magnolia stellata - small delicate magnolia cousin. 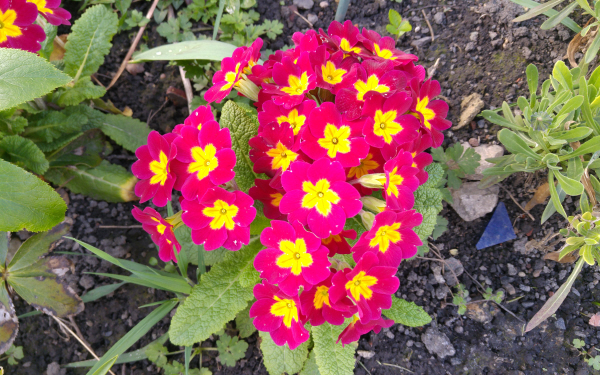 Bright polyanthus. We also have groups of pale yellow "wild" primsroses all around under the trees. Landscaping ought to follow bound rules and principles to fulfill the needs and wish of the homeowners or the users of gardens. The layout of the gardens should embrace walls, sitting areas, paths, moreover as plants themselves. For sure a garden will have a lot of features so we can enjoy the outdoors. 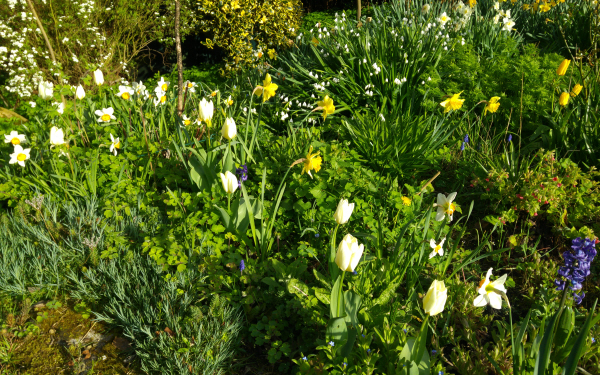 But the flowers and plants are the stars of the show - and the wildlife that comes and enjoys our garden too! Maybe I'll do a post about the "architectural" items in our garden. keep following!